Fastest 100 mm macro lens on the market and closes the gap between long range and breathtaking close-up shots. This lens bridges distances and allows unique image compositions. This lens is ideal when you need some distance between your camera and your subject, e.g.during a portrait shoot. Its precise mechanical components with a large focus throw permit precise control which is particularly important for macro photography in the close-up range. Planar lens provides the lens designer with numerous means to correct aberrations extraordinarily well. And its performance is very constant over a wide range of imaging ratios, enabling such a versatile lens variety as the Makro-Planar lens. All lenses features a T* anti-reflective coating from ZEISS. Outstanding stray light reduction is achieved by combining a number of optimally matched measures. In addition to the ZEISS T* coating, all lens edges are provided with a special pitch-black lacquer in a complex manual process. Light traps in mechanical components and specially designed surfaces are integrated to prevent the occurrence of reflections. Each focal length has its own individual optical design with the use of special types of glass displaying anomalous partial dispersion. This reduces the occurrence of color fringes at high-contrast edges of subjects to an absolute minimum. 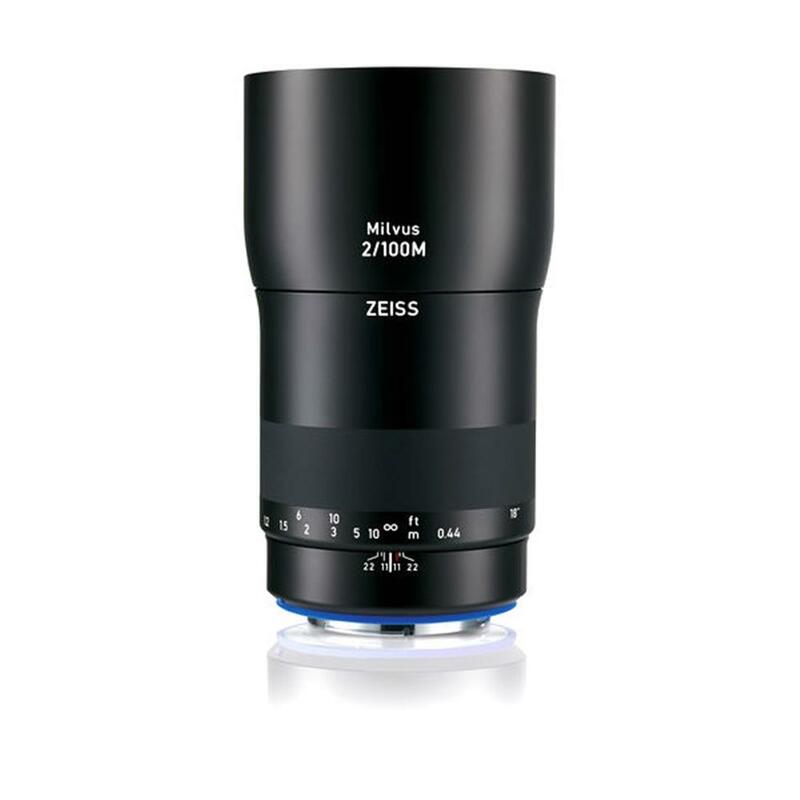 The excellent image performance of the ZEISS Milvus lenses is sharply focused on the requirements of current and future high-performance digital cameras. Thanks to the low level of stray light allowed by the lens design, high-contrast images are also possible with increasing high dynamic ranges of the sensors (HDR). The minimization of coma, astigmatism and spherical aberrations enables constantly high resolution over the entire image field. The optics are designed to ensure full utilization of the performance provided by high-resolution camera systems. Regardless of what the future holds - with the Milvus lenses from ZEISS you are optimally equipped any time, any place. State-of-the-art camera systems and high-resolution digital image sensors are now demanding more and more performance from the lenses. The Floating Elements Design permits constantly high image performance in the focal plane - from the minimum object distance to infinity. This is accomplished by changing the axial distance between individual lens elements or element groups. The adjustment of the element spacing is coupled to the distance setting so that it always results in the right correction. The mechanical design of the ZEISS Milvus lenses is highly complex and the workmanship must be extremely exact - both specialties of ZEISS.